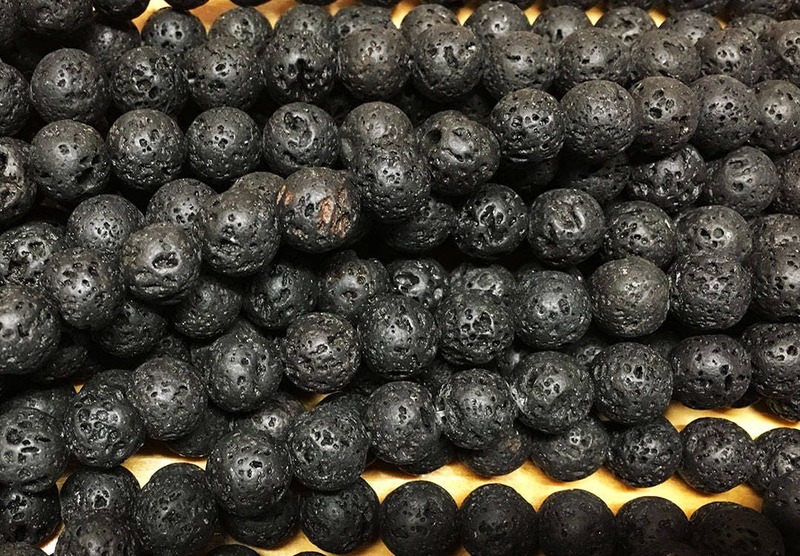 One 15 inch strand of natural black lava stone round beads. There are approx. 39 beads per strand - beads measure 10mm. Very light weight and will give your jewelry an organic look. Each bead's random dimples give each one a unique look. They are lightweight earthy beads. They are great for oil infusion/aroma therapy designs.